Shopping for Judge Dredd Bed and Bath? Any last words? 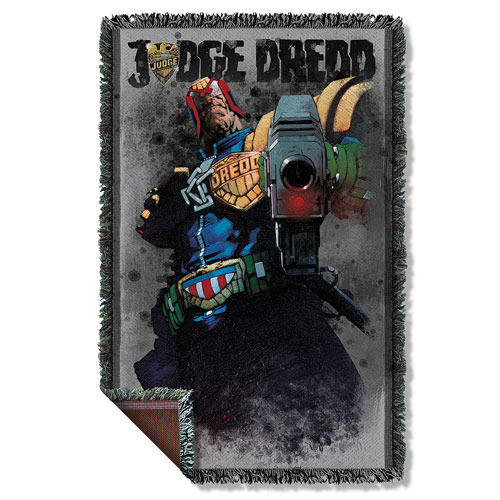 The Judge Dredd Last Words Woven Tapestry Throw Blanket features a fun design that shows the legendary Judge Joe Dredd. The blanket will help keep you warm on those cool dark nights. Measures about 58-inches tall x 36-inches wide.